Agua Vida SMA is an independent citizen’s campaign initiated by Observatorio Ciudadano del Agua y Saneamiento/OCAS composed of citizens and residents of San Miguel de Allende and various NGOs such as Rotary Club, Salvemos Río Laja, Amigos de la Presa Allende, El Charco del Ingenio, Caminos de Agua, GAIA, Vía Orgánica, FAI-Cerecaly, Salvemos el Rio Laja and Audubon Society of Mexico. the transformation of agricultural irrigation systems that account for 85 percent of the local water. The Presa Allende from almost its beginings has been neglected – a repository of untreated sewage and effluent as well as man’s castaways in the form of all manner of trash. Groups of citizens concerned about water and wildlife are coming together to address the problems of the Presa. 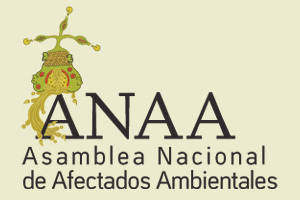 Working with government and other citizen groups, Amigos members are addressing a variety of environmental issues. They believe that by using the Presa for benign recreation such as rowing, canoeing, kayaking, and sailing we are raising the collective consciousness of people of the region. APOYO is committed to helping Mexicans bootstrap themselves out of poverty, and become financially independent for life. By offering both training and small interest-free loans, APOYO helps people either start their own businesses, or strengthen existing ones. APOYO works primarily in low-income neighborhoods in San Miguel de Allende, and in rural communities in the state of Guanajuato. Sociedad Audubon de Mexico recognizes that a healthy environment is critical to the survival of birds, wildlife, and people. Through education, conservation, and recreation we promote environmental stewardship to ensure quality of life for all living things in San Miguel de Allende - for today and the future. Caminamos Juntos is a humanitarian not-for-profit organization operating in San Miguel de Allende that provides assistance to Mexican nationals who have involuntarily returned to Mexicoas well as Mexican nationals who have come to Mexico under duress. Casa y Acequa's mission is the ecological restoration and improvement of the living conditions of communities through its sustainable reforestation Mexican model which is based on the propagation of cacti and agave orchards, and the on going training in food self-sufficiency, herbal medicine and sustainable practices. Casita Linda helps famililes in the greater San MIguel area who have an income of less than $275 USD per month build their own homes. By providing a dignified and safe environment—a casita linda or pretty little home—we empower families and change lives. CEDESA was founded in 1965 by a catholic priest and several nuns concerned about they saw as the many necessities and injustices visited on the people of northern Guanajuato state. The organization began teaching literacy and other skills to rural campesinos. CEDESA’s mission has evolved to include contributing to the organization, abilities and health of these communities. Their goal is for campesinos to strengthen their identities and productive abilities, their knowledge of ecology, and the ability to make autonomous decisions as communities. Their projects include many sustainable agricultural technologies of which they provide training to local people. They are also avid activists for local conservation projects and work with many organizations, such as the Center for Global Justice on joint projects involving communities and education. CEDESA also produces its own brand of food stuffs and traditional medicines. 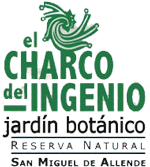 Located a few minutes outside of San Miguel de Allende, El Charco del Ingenio is a Botanical Garden and outstanding Nature Preserve. It also displays a vast botanical collection of cacti and other Mexican plants, many of which are rare, threatened or in danger of extinction. The Garden holds environmental education programs for youth along with a wide range of activities throughout the year reflecting the multicultural character of San Miguel. This community is comprised of 70 families and is an ejidal community which means that members own communal land in and around the town for growing crops and grazing animals. Seven families of this community approached The Center for Global Justice when they were planning to start an organic tomato cooperative. “El Pipila de Peñon de los Baños” is one of the only groups of campesinos producing organic vegetables in the area around San Miguel. The Center agreed to loan them 9,000 Usd at a low interest rate through our Revolving Loan Fund Project set up to support cooperatives. This money was needed to build their first organic greenhouse. Since that time the cooperative has received support from the state government to build eight more greenhouses. GAIA’s mission is to bring sustainable and renewable energy technologies to rural Mexico that will be appropriate and usable for rural people. The organization was founded by the Caldera family. The four-member family lives outside of San Miguel on the way to Jalpa, in a community called Sosnabar. They have built three houses as part of their “eco-village” that use techniques such as solar stoves, dry toilets, wind power, solar water heaters, and many more. Their goal is to host groups long-term and provide workshops and training sessions to those visitors. Instituto de Educación en el Campo Mexicano, AC. Mexicans and foreign residents formed this organization together in San Miguel de Allende, with the promise to redress the problem of educational inequality in nearby rural areas by increasing access to higher, better education, thereby helping overcome the poverty cycle. A key part Rural Ed's programming is the provision of scholarships to high school students. These scholarships help to alleviate the financial restraints covering costs such as books, uniforms, school fees and other materials needed to attend high school. Somos reporteros comunitarios, economistas sin corbata, fotógrafos, redactores, y ambientalistas, que ojerosos, flacos y desvelados hacemos La Coperacha. Este es el primer sitio informativo en Mx especializado en cooperativismo y economías solidarias bueno, bonito y gratuito. Y por si fuera poco vinculamos el trabajo de las cooperativas del G-50 con consumidores de carne, hueso y cerebro. Se nos antoja un mundo desenfadado, equitativo y limpio, por eso nuestro periodismo promueve una economía ciudadana, alternativa y solidaria, al más puro estilo coperacho. Además hacemos El Coyote Itinerante y otras talachas que nos han dado el Premio Nacional de Periodismo 2011, Premio de la Juventud 2009 y el Premio Iniciativas Ciudadanas en Materia de Comunicación Alternativa 2008 y 2011. The Community of Cieneguilla is located in the Sierra Gorda Mountains in the Terria Blanca Municipality an hour and half outside of San Miguel de Allende. 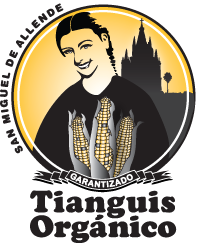 The Cieneguilla congregation is made up of 19 communities and was founded in 1536. This community is a place where ancient indigenous culture and modern traditions live side by side. The marketing cooperative of Mujeres Productoras was formed by 15 women of the community and introduced to the Center for Global Justice through our community organizer Yolanda Millan. The women share space in a shop located at the Center’s offices in downtown San Miguel. This community, due to it’s rich indigenous history is imbued with culture and ritual and the Center often takes groups to Cieneguilla to participate in one of their most ancient of traditions, “the temascal” or sweat lodge. Rotary's mission is to provide assistance to others in order to improve the quality of life and to advance community understanding, goodwill, and peace. 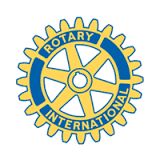 Their weekly meetings generally feature presenters on topics covered by Rotary’s areas of focus, which are promoting peace, fighting disease, providing clean water, saving mothers and children, supporting education, and growing local economies. Ser Mujer’s goal is to promote the commonality of women’s issues across cultures, to raise awareness of their challenges, and to celebrate their accomplishments and contributions. SCAAS, Advisors for Social Advancement, began its work in 1990, always with a focus on the social economy sector. Their work has grown to emcompass feasability studies, counseling, training and self-managed project development. SOMOS Semilla Seed Library brings education and food sovereignty to the community, strengthening the long-term health of our environment through seed saving. Our work is interconnected to a growing international movement of free seed advocates. Quality organic seeds adapted to this climate are difficult to find. Worse, important indigenous foods that originated in Mexico centuries ago —such as corn, beans, squash and tomatoes — are endangered by urbanization, mono-cropping and GMOs that contaminate local crops. Starting in 2009, a critical mass of progressive, self-help organizers and organic farmers started meeting at the Center for Global Justice to discuss organizing a market to sell things that people are producing. After a year of meetings, the group was ready to have their grand opening in the Parque Juarez in San Miguel de Allende in August, 2010. A year later, the group moved to a different location on a major thoroughfare through town. La Cooperativa Tosepan Titataniske es una organización cuyos inicios se remontan hacia 1977, constituyéndose legalmente en febrero de 1980 y en los ultimos años se ha conformado la Unión de Cooperativas Tosepan. Esta unión incorpora a 8 cooperativas regionales y tres asociaciones civiles. actualmente la organización agrupa a 34,000 familias, la gran mayoría de ellos pertenecientes a los grupos originarios nahuas y tutunakus. La población de socios se conforma de 410 cooperativas locales pertenecientes 26 municipios de la sierra nororiental del estado de Puebla. Desde sus inicios, la filosofía con la que se ha conducido la Organización es la de mejorar la Calidad de vida de sus socios, manteniendo su identidad cultural y preservando sus recursos, para lo cual ha venido desarrollando distintos programas de trabajo en la zona, de acuerdo a las necesidades propias de las comunidades, en áreas relacionadas con la producción, alimentación, salud, vivienda, educación, comunicaciones y con el mejoramiento de servicios básicos como agua potable, luz y drenaje. Via Organica is a Mexican non-profit organization whose mission is to promote good nutrition through organic agriculture, fair trade, a healthy life and protecting the planet.